1.8T Prestige trim. CARFAX 1-Owner, Audi Certified, ONLY 19,498 Miles! Navigation, Sunroof, Heated Leather Seats, Turbo Charged, Alloy Wheels. CLICK ME! Leather Seats, Navigation System, Heated Front Seat(s). MP3 Player, Sun/Moonroof, Aluminum Wheels, Keyless Entry, Steering Wheel Audio Controls, Child Safety Locks, Stability Control. 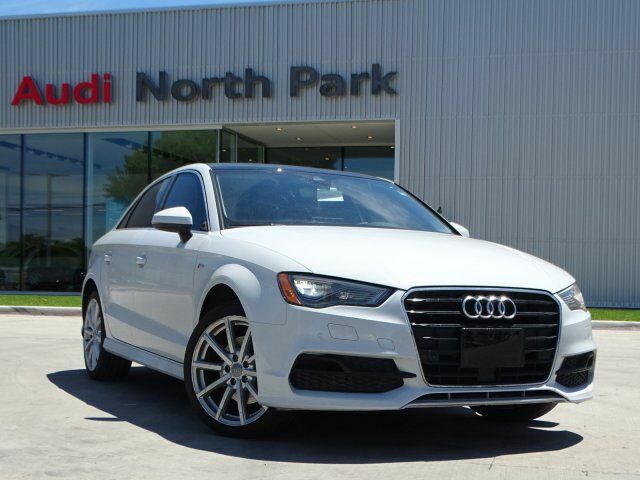 "Compared with other small luxury cars, the 2016 Audi A3 feels more grown-up: an honest-to-goodness luxury car instead of a fancy compact. The cabin remains pleasantly quiet on the highway -- another marker of luxury status." -Edmunds.com.